Emmet Hirsch, MD is a practicing obstetrician-gynecologist at NorthShore University HealthSystem in Evanston, Illinois and Clinical Professor of Obstetrics and Gynecology in the Pritzker School of Medicine at the University of Chicago. He is author of the novel The Education of Doctor Montefiore, appearing in print and in e-book form beginning in October, 2016. Dr. Hirsch has published a number of patient vignettes and reflections on medical practice in leading medical journals. 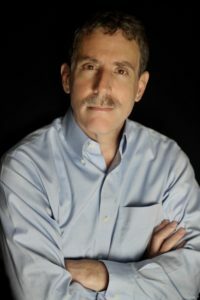 In addition, he is an active researcher with over 55 scientific publications focusing on various topics, including the molecular pathophysiology of preterm labor and, in the clinical realm, the achievement of safe vaginal delivery. Emmet lives in Evanston, Illinois with his wife Arica, also a physician, and with those of his four children who at any given moment reside at home. There is also a dog somewhere (probably pooping in the corner of the family room). If you are looking for the Emmet Hirsch research lab, the link is here. Listen to my wide-ranging interview about Doctor Montefiore and other topics on Illinois Public Media Champaign station WILL from November 30, 2016 here.